Today I journeyed through Omaha, Nebraska, via The Omaha Daily Bee of January 6, 1914. The issue had the report of the oil tanker Steamer Oklahoma splitting in two and sinking south of Sandy Hook, New Jersey. Several of the crew had perished in this disaster while others were rescued by other ships. 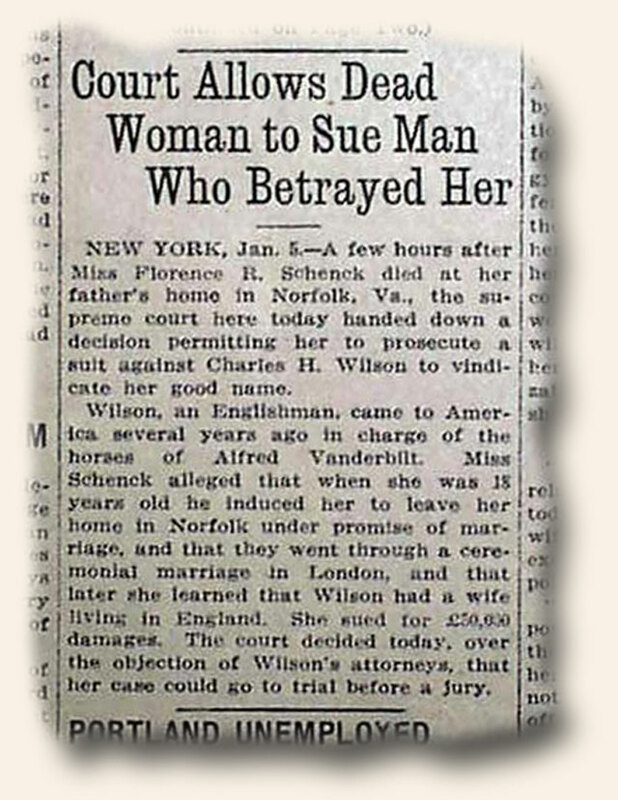 Another article is one of the Supreme Court handing down a decision permitting Miss Florence Schenck, who had died just a few hours earlier, to prosecute a suit against Charles H. Wilson to vindicate her good name. Mr. Wilson had induced her years earlier to marry him in a ceremony in England. She later found that he already had a wife living in England as well and was suing for damages.